The Pangu development team today updated its jailbreak for iOS 7.1.x bringing support for the English language and OS X systems, as well as a fix for a bug that caused boot loops on iOS devices. The jailbreak was originally released last week and marked the first time that users were able to deploy an untethered jailbreak on any device running iOS 7.1.1 and below. However, the release was only available for Windows systems and contained an option to install "25PP", which is a third party app store for Chinese users. Pangu's newest release now disables installation of 25PP for English users by default. Pangu's jailbreak tool follows an updated version of the popular Evasi0n jailbreak that was released last year for iOS 7.0 to iOS 7.0.4. However, Evasi0n was also the subject of controversy after Cydia administrator Jay Freeman revealed that evasi0n did not include an official version of Cydia and installed a third party app store called Taig for Chinese users. In response to Freeman's statement, the evad3rs development team announced the removal of the Taig app store from the jailbreak and apologized for the issues caused by its inclusion. 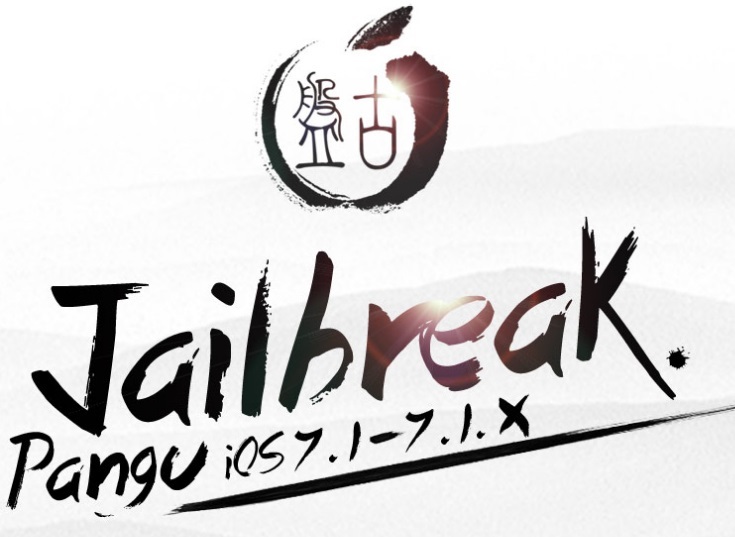 The updated Pangu jailbreak for iOS 7.1.x can be downloaded directly from the project's official website. Is there aomething to complain and waste time typing about now? You came to this thread, about something that apparently has no interest to you, to complain about this story's existence, stating that you have no idea why jailbreaking happens, then immediately negating your own opinion by saying you have never done it. I responded to your implied question. If I'm at a bar, and I overhear a conversation about motorcycles, I don't walk over and go "I don't know why anyone would ride a motorcycle, it seems unsafe! But I've never ridden one." then complain when they actually reply. If you don't want a reply, then don't post. If you don't want to read about jailbreaking, then skip the stories on it. Like it or not, to many iOS device users, a new jailbreak is news, thus it is worthy to report on on a website dedicated to news about Apple devices. I'll assume you meant "right", not "tight". What about it isn't right? Did you not purchase your device? Did you not pay for it? Why exactly is it "not right" for someone to have full access to something that they own? The equivalent is that you buy a house, and the seller says "Look, I know you bought this house. But these two rooms are off limits. Im locking them up tight." Does that sound right to you? Because that's essentially what you're arguing is "right". We have a Jailbreaks section on MR forums you know. Considering you've never jailbroken your phone, you therefore realistically aren't aware of the value a jailbroken phone provides. I feel jail break news to be of the utmost relevance on a website such as this. If say Apple.com had info on jail breaking, then I'd be a bit suspicious. After last jailbreak causing my iPhone 5 run like crap, I'm done with jailbreak: the benefit doesn't worth the risk. 1. Jailbreaking has been dragged through the US legal system and is completely legal. 2. iPhone developers (like me) have legitimate compelling reasons to jailbreak their phones. 3. On a recent trip to the nearby Apple Store, the subject of jailbreaking came up during a discussion with one of the Geniuses. He told me that the majority of Geniuses at that Apple Store jailbreak their phones. A few posts above and on the previous page (https://forums.macrumors.com/showpost.php?p=19300450&postcount=56) there are reports that it works for 7.1.2. AKA: I don't really know what this is, but it sounds dodgy, so I'm going to complain about it? Jailbreaking is simply allowing users to use their iPhone in a way they see fit, separate from Apple's "walled garden." Some people find it useful to do more advanced things on their phone than Apple allows (third-party keyboards, for example,) some do it solely because they like "having the freedom" to do what they want. Some, yes, do it to load pirated apps. I have waffled back and forth with jailbreaking. I liked some of the jailbreak-only apps in the past, but gradually apps with the same functionality became available on the official App Store (or the functionality became built-in to the OS.) Each OS version, more and more of the features I jailbroke for end up available "legitimately." With iOS 8, all of my remaining reasons will be gone. I will upgrade to iOS 8 on launch day, even if no jailbreak is available. And if no jailbreak ever becomes available, I won't worry. I do consider the fact that jailbreaks come out to be a good thing, though. It both keeps Apple competitive, and helps find legitimate security holes and gets them fixed! No need for this big explanation about stuff i and most others already know. All i said was that i dont understand why this story is on MacRumots when there just be stuff about Apple made stuff or certified third party Apple stuff. Is there aomething to complain and waste time typing about now? "However, the release was only available for Windows systems and installed '25PP'"
Why do site continue to say that? That was completely optional (that's what the checkbox was for). I mean why would people care about reading news of jb of an apple device in an apple forum; it's it like its a samsung vs apple lawsuit or anything. PSA: Pangu can jailbreak iOS 7.1.2.